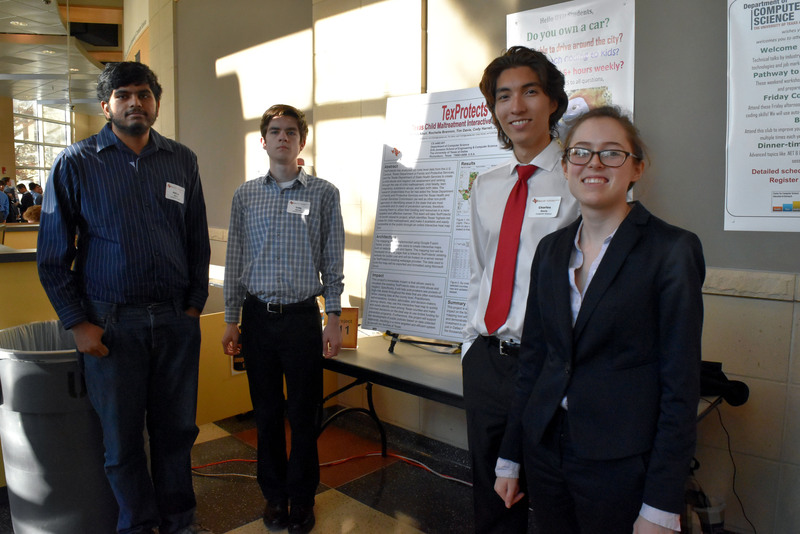 UT Dallas Computer Science and Software Engineering seniors came together last December to present their capstone projects at the Fall 2015 UTDesign Computer Science Expo. 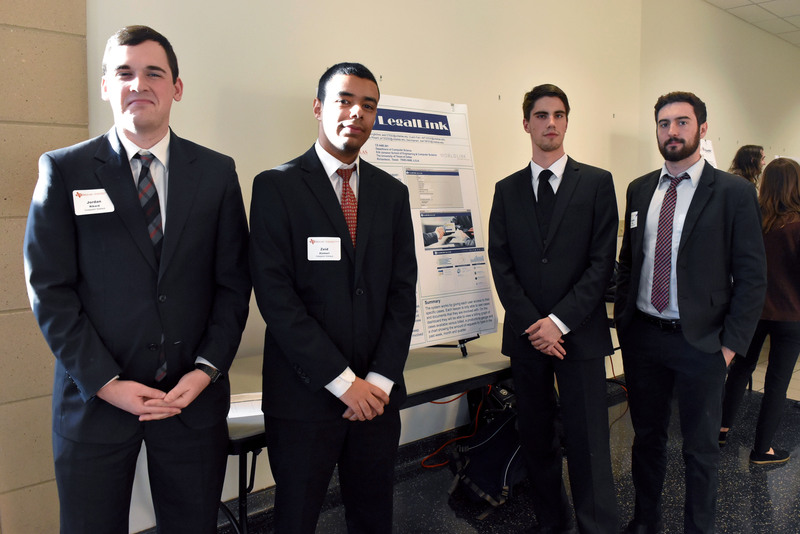 Nineteen teams ranging from three to five members each participated in the UTDesign CS Expo. 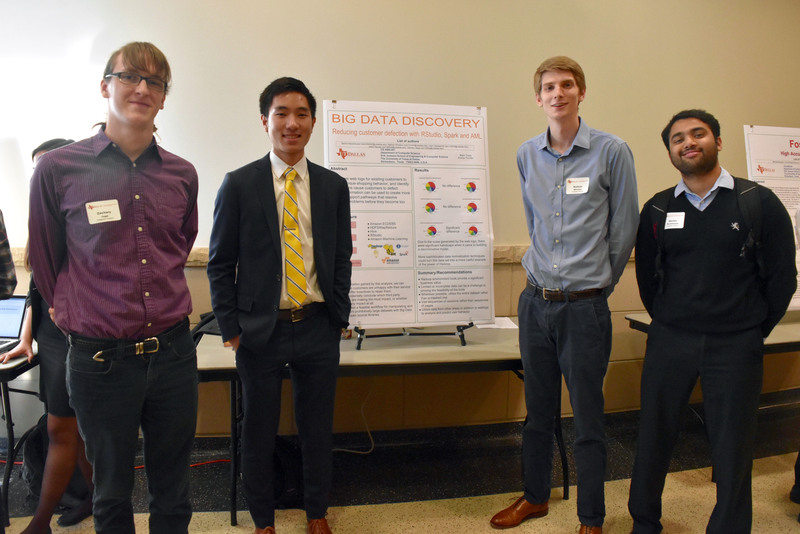 For one semester, both Computer Science and Software Engineering students create senior projects as part of the UTDesign program, a team-based capstone course for Jonsson School students that connect companies to teams of senior students. This years projects ranged from mobile apps to designing and implementing software interface to control a network of intelligent speakers. 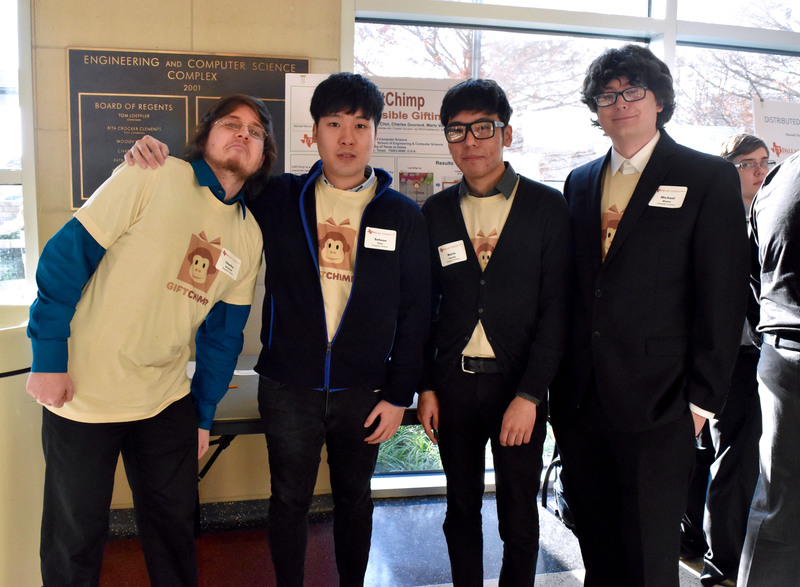 In order to graduate, all students in the UT Dallas Computer Science bachelor’s program are required to complete a one-semester, team-oriented capstone UTDesign project. 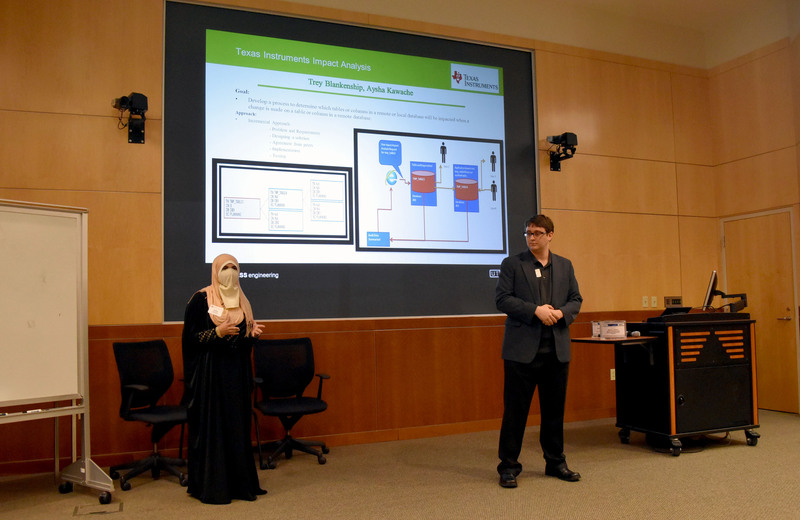 The final projects allow students to apply the knowledge that they have gained through their education at the UT Dallas Computer Science department. 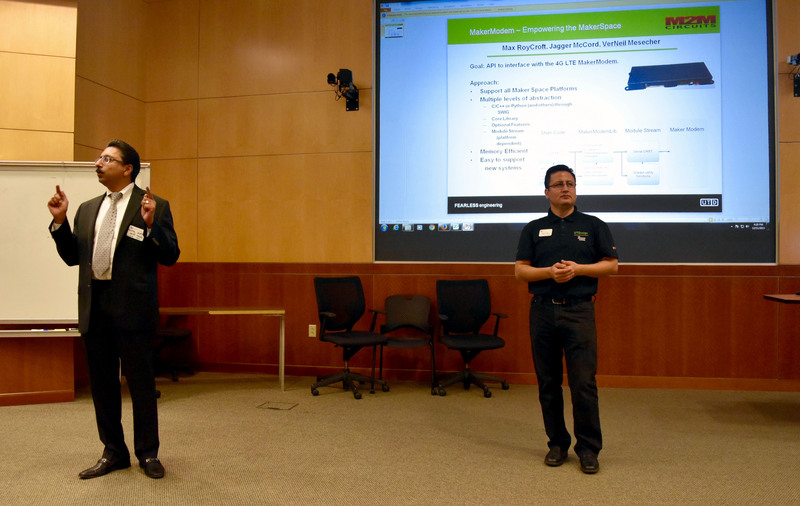 As part of the course, students also learn about entrepreneurship, including four lectures that are delivered by the UT Dallas Institute for Innovation and Entrepreneurship (IIE), as well as lectures delivered by UT Dallas CS faculty members focusing on leadership and software project management. 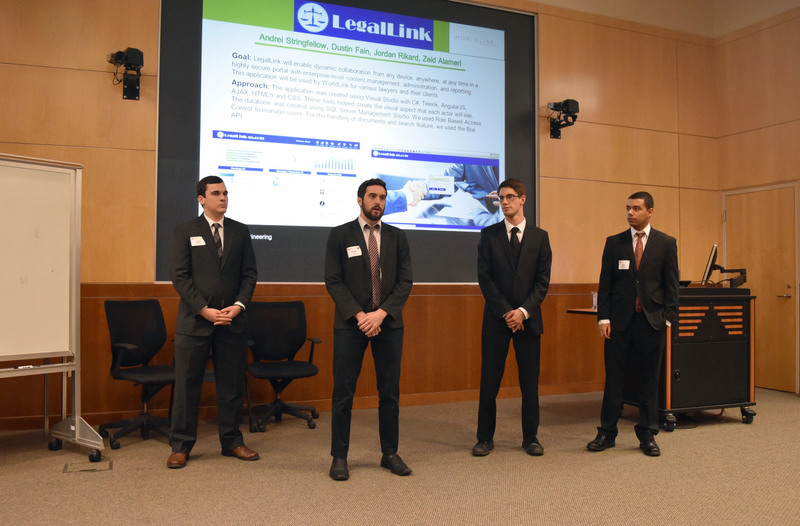 Students are given the opportunity to fully engage in the design process and use their project-management skills including planning, budgeting, communication, scheduling and presentations, as well as critical thinking and problem-solving skills while working on projects applicable to a variety of companies, consumers, or UT Dallas faculty member’s research. 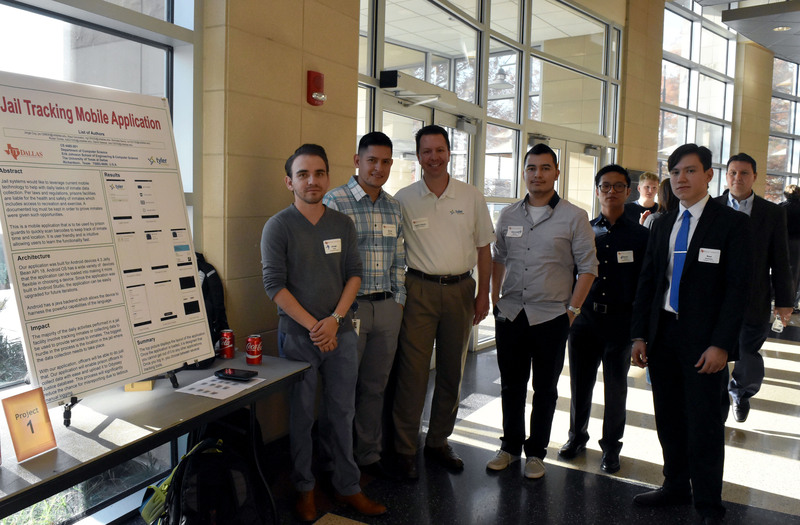 The teams and projects are sponsored by both large-scale companies and UT Dallas faculty member’s research and are judged at the end of the semester at the UTDesign Expo. UTDesign helps companies expand their resources by taking advantage of the skills, energy and fervor of talented computer science and engineering students. Companies who work with students in the UTDesign program benefit from the knowledge gained from the students who are currently being taught the latest in cutting-edge innovations in their field within the UT Dallas CS program. Companies are not the only ones who benefit from the program, as students working on the projects are eager to find solutions for sponsoring companies’ projects by offering cutting-edge ideas, forward-thinking approaches to solving problems, and a bold creativity. 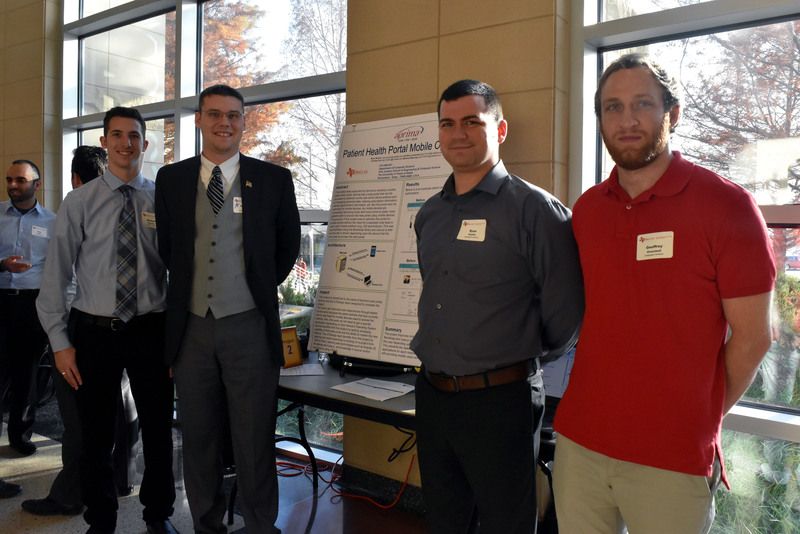 Through the program, students can expect to learn and test important technical skills and gain valuable experience that often can lead to internships and jobs. 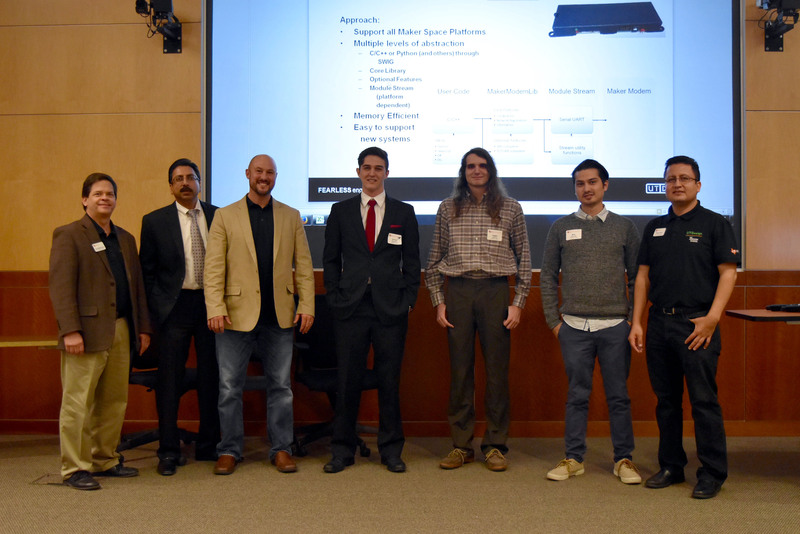 After the opening remarks, the 19 senior UTDesign CS teams were ready to present their final oral presentations for their UTDesign capstone project. 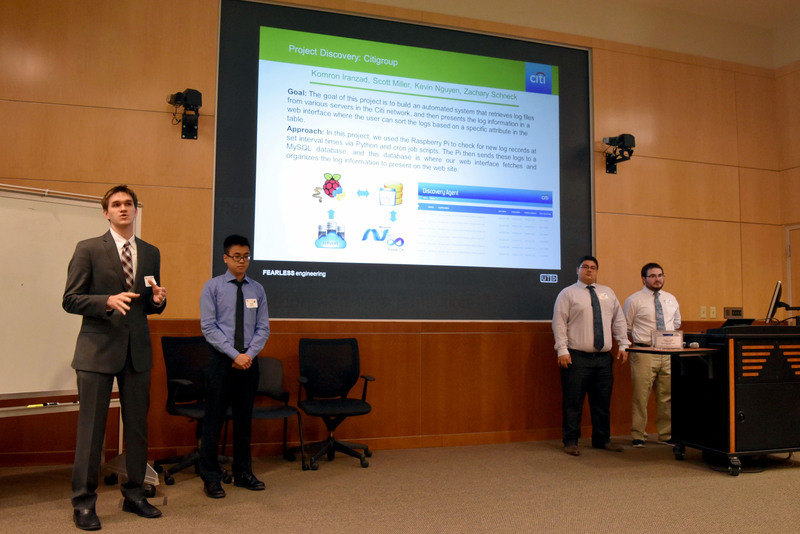 The teams were allowed to use only one slide to present their work. Brevity was key in covering the goal of the project, design of the project, project testing, validation plan, results achieved, project management approach, and acknowledgement of sponsors – all within their allotted five minutes. 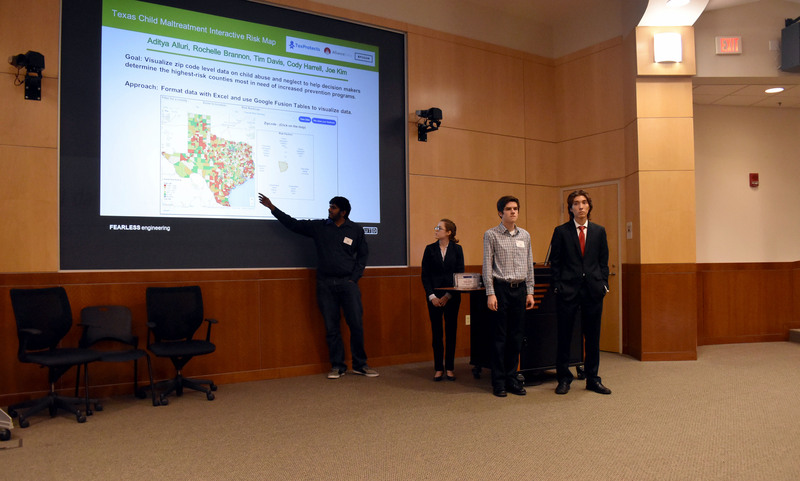 Projects from the Fall 2015 UTDesign Computer Science Expo included Database Impact Analysis (sponsored by Texas Instruments), Patient Portal Mobile Optimization (sponsored by Aprima Medical Software), Texas’ Child Maltreatment Interactive Risk Map (sponsored by TexProtexts), Jail Tracking Mobile Application (sponsored by Tyler Technologies), and High Accuracy Watch (sponsored by Fossil). 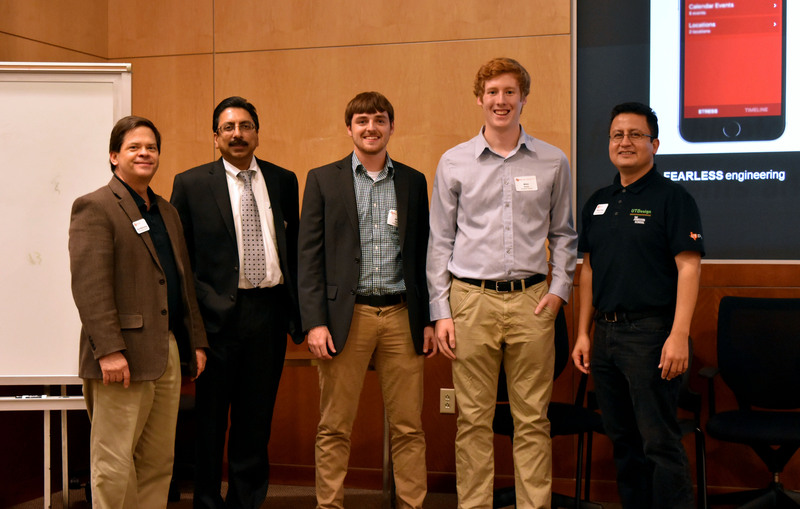 The top three winning teams were 3rd place winners Fossil Connect (sponsored by Fossil), 2nd place winners GitSubmit (UT Dallas student project), and 1st place winners MakerModem (sponsored by M2MCircuits). The 3rd place winning team, Fossil Connect was sponsored by Fossil. 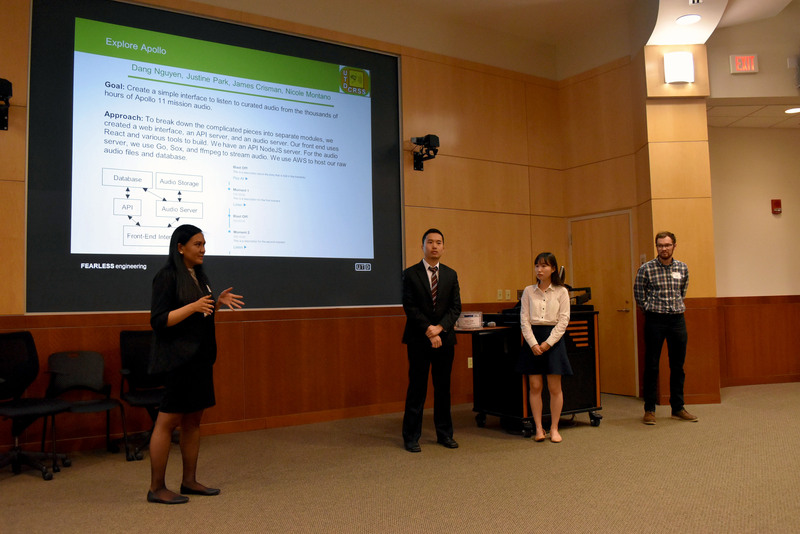 The goal of their project was to create a mobile application that paired with a Fossil Connected accessory that would help users understand when and why they were stressed. 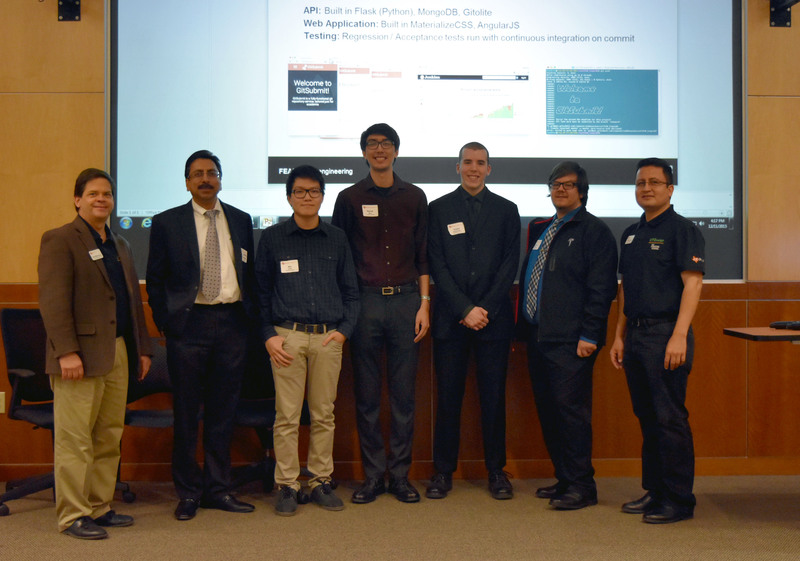 The 2nd place winning team, GitSubmit, a UT Dallas student project, had a project goal to create a functional proof-of-concept for git repository service that easily manages classes and projects while reliably enforcing academic deadlines. 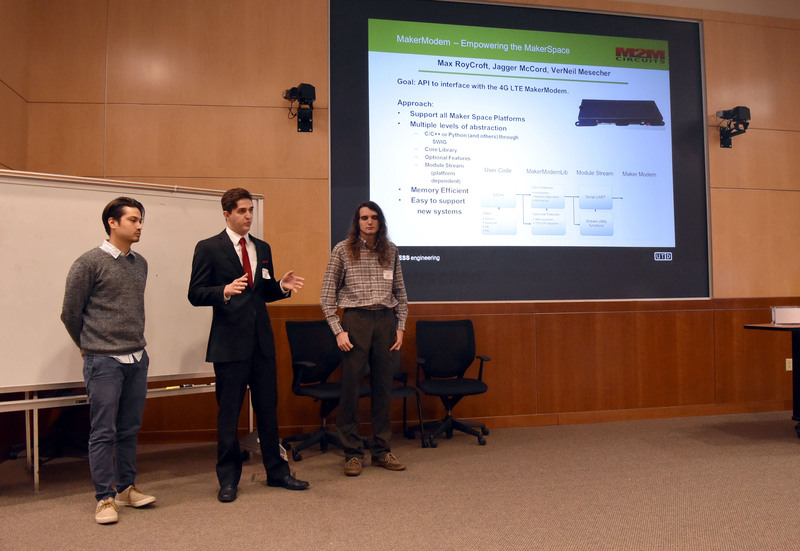 The project goal for the winning first place team, Maker Modem, sponsored by M2MCircuits, was to create a device for connecting electronics to the Internet using a 4G LTE cellular network. The Maker Modem is the only 4G modem designed for the Maker Space, enabling direct connection to single board computers and microcontrollers. During the course of each project, two advisors coached the students: a corporate mentor, who acted as a technical point of contact for the company; and a faculty advisor who was an expert or had some degree of technical familiarity with the project at hand. For each UTDesign project, teams of students often put in up to ten hours of work each week. The involvement of the company was crucial for the success of the project and the learning process for the student. 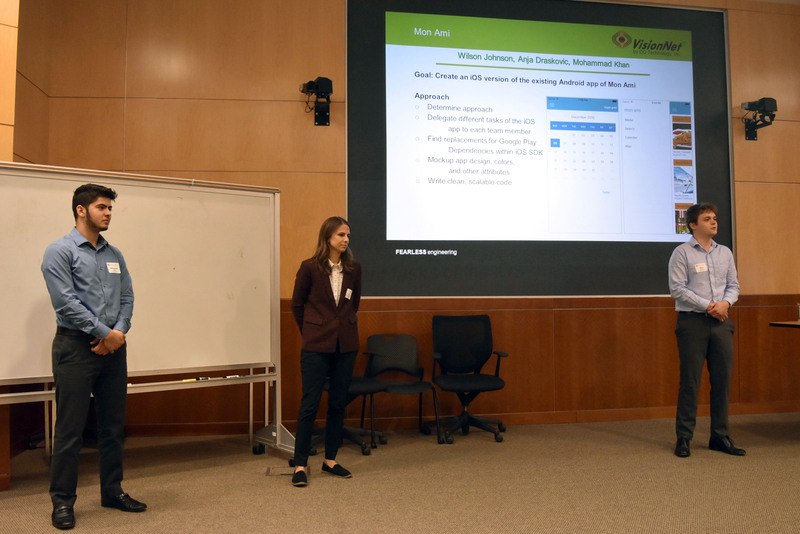 Corporate mentors mentored the team so that the students could get corporate experience, foster teamwork, guide the team to meet benchmarks during the project, and help the students with learning new technology used in the company. 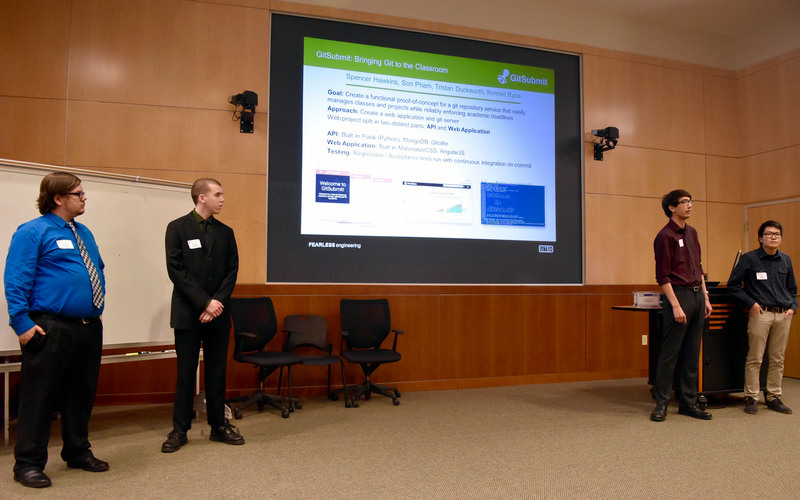 The UTDesign program proved to be a valuable resource to companies; the program helped companies expand their current outreach by taking advantage of the skills and knowledge of UT Dallas’s computer science students. 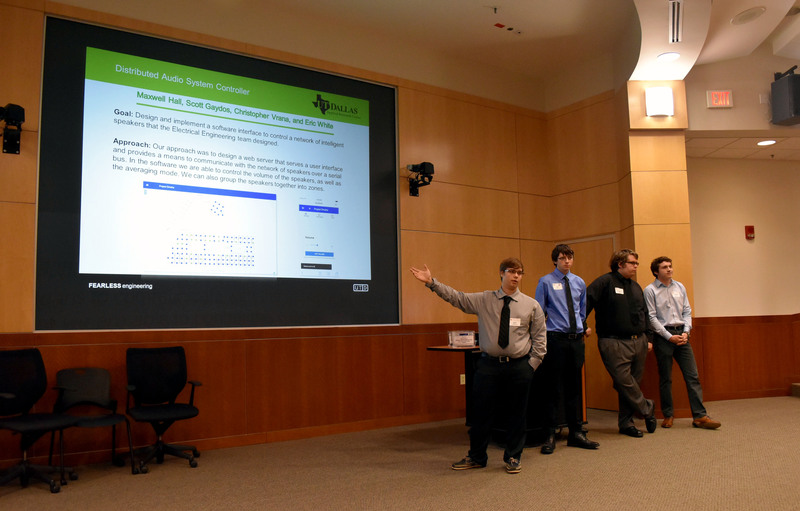 This year’s sponsors of UTDesign Computer Science teams included large organizations such as Tyler Technologies, Texas Instruments, Fossil Connect, Aprima Medical Software Inc., TexProtects (The Texas Association for the Protection of Children), DQ Technology, Citigroup, and Benning Power Electronics and the UT Dallas Center for Robust Speech Systems (UTD CRSS). 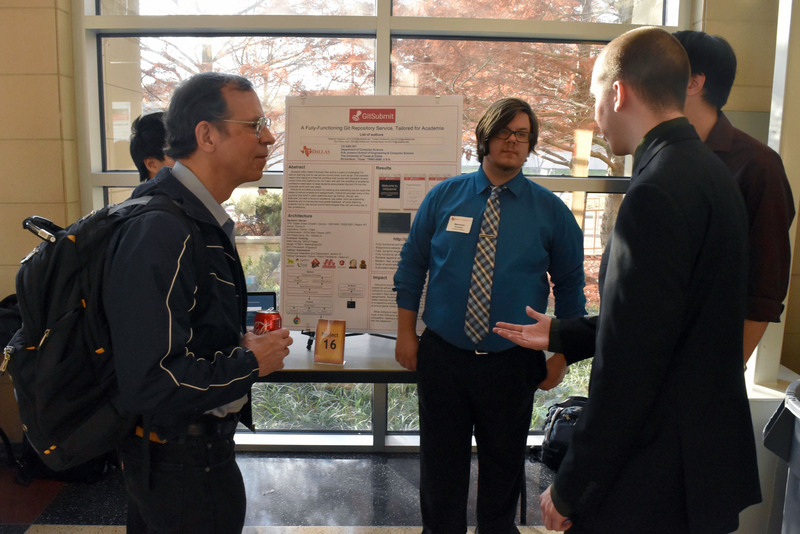 Many companies, such as Texas Instruments and Tyler Technologies, field multiple projects every semester. There have been many instances where the code developed by students has been put into production by the company. For the spring 2016 UTDesign program, there will be 25 CS capstone projects. 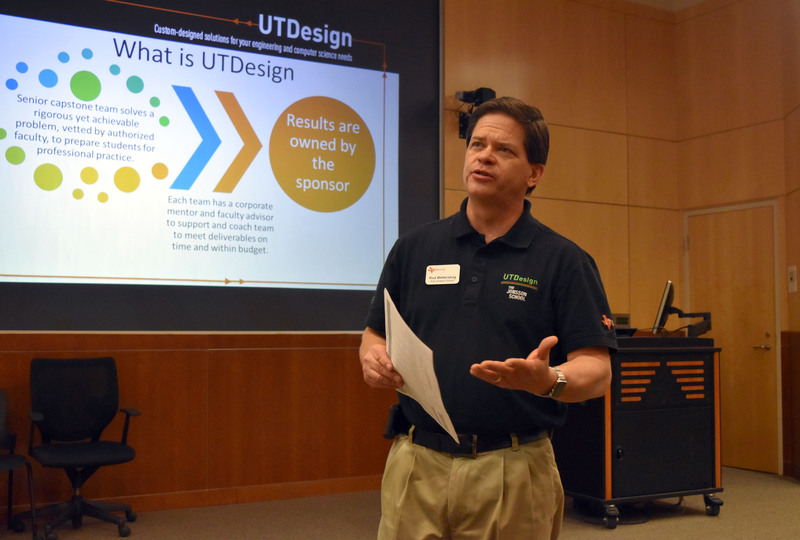 The next UTDesign CS Expo will be held at the end of the spring 2016 semester in May. 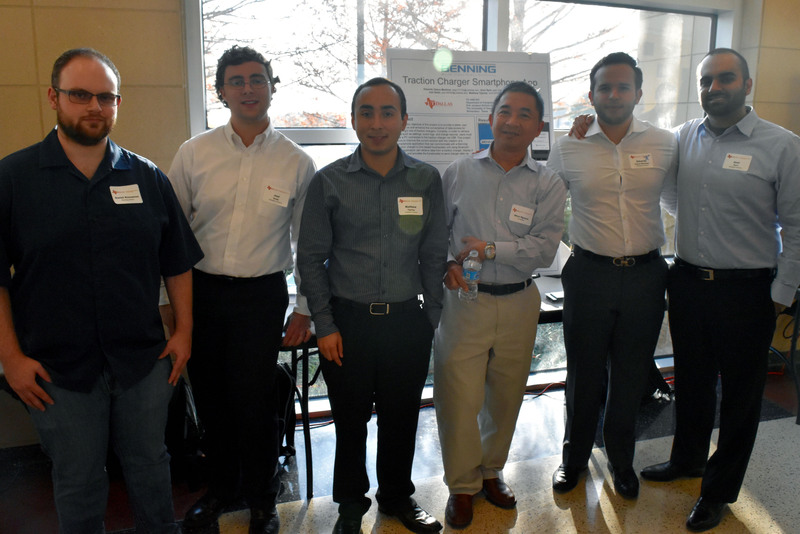 Dr. Khut Nguyen and the Benning Power Electronics team. Dr. John Cole talking with the GitSubmit team. 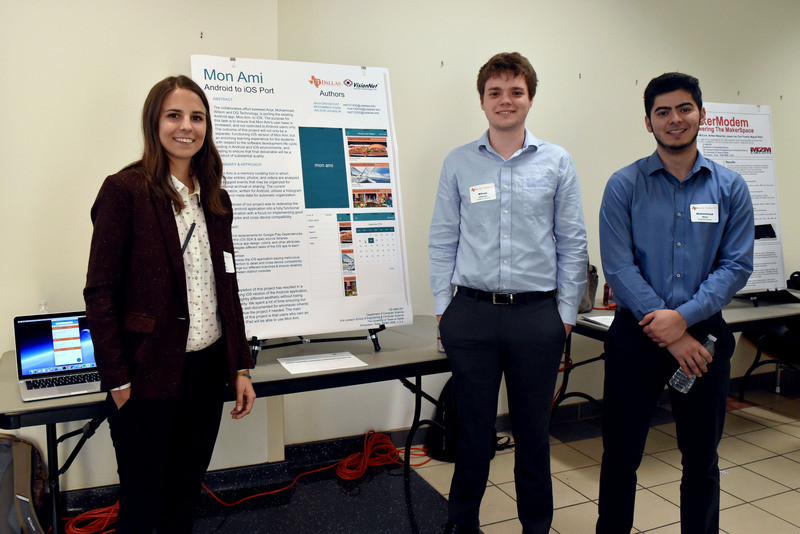 Please click here to view additional photos from the UTDesign CS Expo for the Fall 2015 semester & click here to see photos from past UT Dallas CS related events.